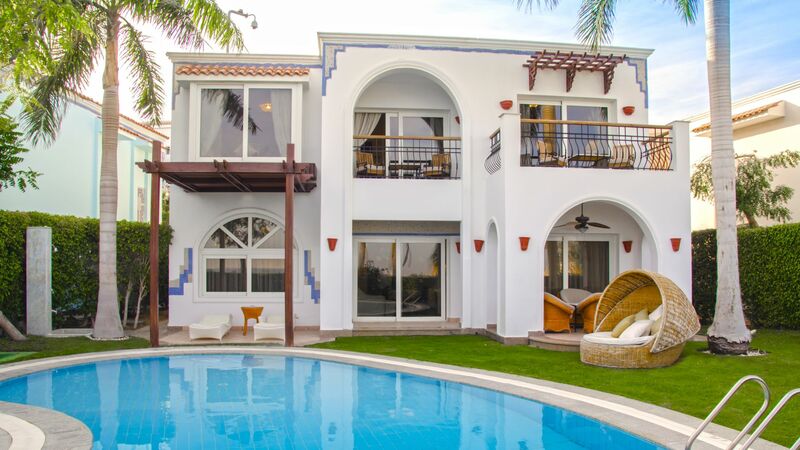 Deriving inspiration from the famed Giza Pyramids, this villa offers a smart, stylish and cutting-edge abode to guests. Ergonomically designed and fitted with an American-style kitchen, the Villa Giza employs modern touches such as a plasma television, Denon sound system and imported furniture. Light-colored wood and stone carry an airy, open feeling throughout the two-story accommodations. A Roman-style chimney, sink-in sofas, splashes of royal purple and sea-blue, framed artwork, private balcony, pool and garden combine for a dreamy and idyllic villa along the sea.